Family and friends of Kathy Schalk are raising money to pay for uninsured medical expenses associated with transplantation at the University of Washington Med Center. 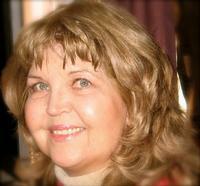 Kathleen Schalk was diagnosed with End Stage Renal Failure in the summer of 2010. After flying down to Virginia Mason Medical Center in Seattle it was determined that the kidney failure was brought on by a rare blood disease called Antiphospholipid Syndrome (Hughes Syndrome). Kathy has remained positive and in good spirits and she totally appreciates and gives credit to her husband, friends and relatives who have supported her and said so many prayers on her behalf. Although she does have medical insurance, it does not cover the substantial cost of airlines tickets, housing and food for up to three months that she and Flory must remain in Seattle for the transplant and recovery period. To help offset her uninsured costs, a fundraising campaign has been established with HelpHOPELive, a nonprofit organization that has been assisting the transplant community for nearly 30 years. All contributions are tax deductible, are held in the Northwest Kidney Transplant Fund, and are administered by HelpHOPELive for transplant-related expenses only. If you’d like to help make a difference in Kathy’s life, please consider a contribution.